Chances are if you’re friend referred you to us you’re probably chatting with your friend about us rather than checking out all our other testimonial reviews. Then we thought, what about all of those other internet savvy brides out there who search in computer land for a great wedding video experience? Well we thought it would be cool to hear what other newlyweds have to say about us. Our hope is that this will give you an idea of how they liked working with us, and how much they love our wedding films. because it gives them a chance to see what our recently married couples think about working with us. It’s great to see a written review testimonial from recent couples who already received their wedding film. Our reviews give you a chance to see just how excited they were to receive their films and how much they loved working with us! Today’s technologies allow you to experience your wedding film in a unique and exciting way. You’ll enjoy reliving your wedding day vows and reception with all the emotion, laughter, and tears…its just a simple click away. check out our most frequently asked questions and learn more about our custom wedding video styles and pricing. 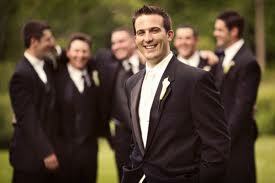 Call us now so we can talk about your wedding day and get to know you and what style of video your looking for. Welcome to one of the most exciting times in your life! Much like the marriage celebration itself, wedding films have evolved over the years. Long gone are the lackluster two hour films with cheesy shots of boring moments. Today’s wedding DVD’s are our most valuable keepsakes. Today’s wedding films capture not just your wedding, but the love of family & friends, the sounds of joy and laughter, and all the love of your wedding day. Whether you’re a native to South Florida, or traveling to the area, we are here to help you. We’re excited to get to know you, and start our relationship. Our Wedding Coordinator, Crystal, will connect with you to chat more about your creative ideas. She will then provide you with wedding options to make your film one of a kind. Simply call or connect to get started. We are excited to hear your plans! Call us now, so we can help you get the best wedding video possible. 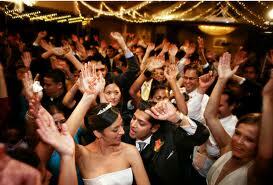 Today’s technologies allow you to experience your wedding video in a unique and exciting way. and personal computers You’ll enjoy reliving your wedding day vows and reception with all the emotion, laughter, and tears…its just a simple click away. Our Blog is also a great place to visit, with over 25 years of servicing south Florida, you can probably watch a video recap from just about every location here. Ready to save your date now? Reserve your camera crew today with just a small deposit, as we have limited availability. If you prefer to communicate via email, simply complete our contact form, & we’ll contact you at your convenience. Wishing you the Wedding of your dreams…..
Years down the road, you’ll be so thankful to have your Wedding Video produced by Broadway Video.